I hope the following schematics will decode the mystery for you, as if there was any mystery to being with, haha! 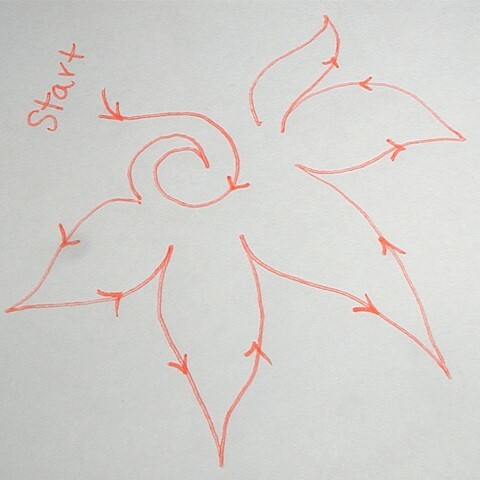 Step2: Upon completing flower #1, you would do some swirlies. Look for a good spot to use one of your swirlies to start flower #2, and #3 and so on… You will notice that I echoed around the last of #2’s petals to get out of a tight spot to start flower #3. 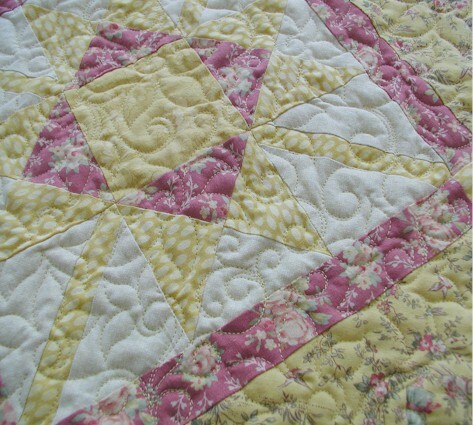 I find that pointy petals in general look more “elegant” than rounded petals in quilting. I don’t have a preference… but I think the pointy petals worked better for my Bedazzled! I hope you found this helpful to you. Thanks for stopping by. Have a super weekend! 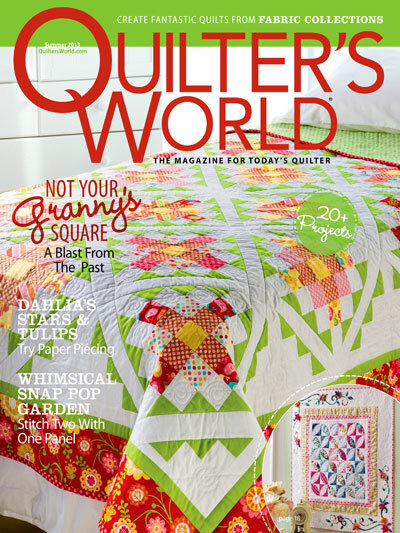 This entry was posted in Quilting and tagged Free-motion quilting, Quilting Motif Schematics. Bookmark the permalink. Thanks, it’s great to see how you construct your designs. And your workmanship, is as usual, impeccable! Thanks for sharing your techniques. 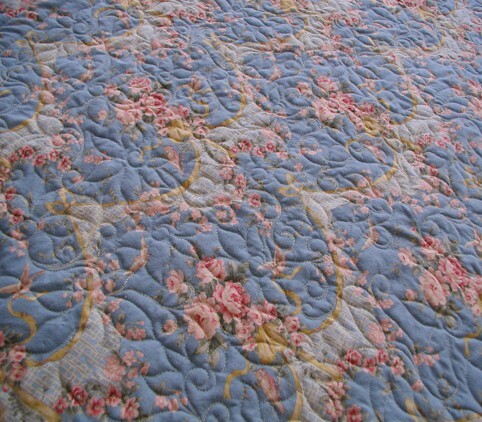 Your quilting is so lovely. I hope I work up the courage to try someday! I am going to have to try this one~ thank you! Have a happy weekend! I agree, so nice of you to share – thanks! 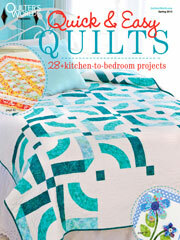 Just wanted to say thank you for your generosity in sharing your quilting motif. 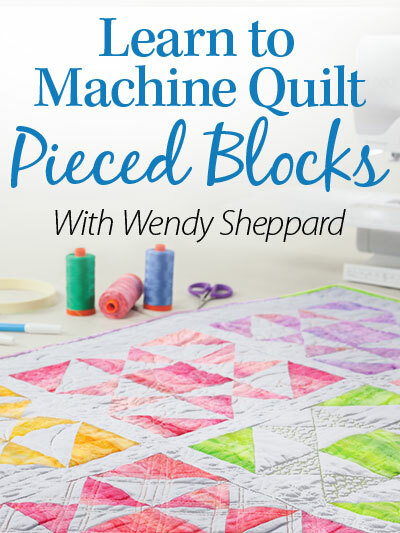 I’m new to your blog and I am really enjoying your posts! 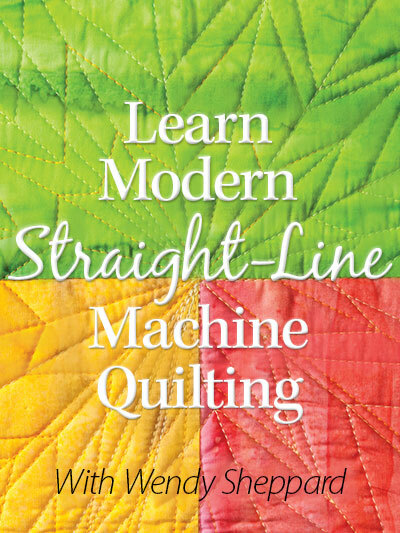 Thank you very much for sharing the Quilting pattern. I so learn a lot from looking at your Explanation.. I hope some day I can do it. Well, it really was very helpful! Thank you so much! Can’t wait to give something like this a try. I love this! Thank you so much for sharing. You take the mystery out of it and give me confidence. I can’t wait to give it a try. Thaks for sharing your design and always love the posts in this series!. In my FM experience, pointy feathers are more forgivng than rounded ones because they don’t look good if not well made. 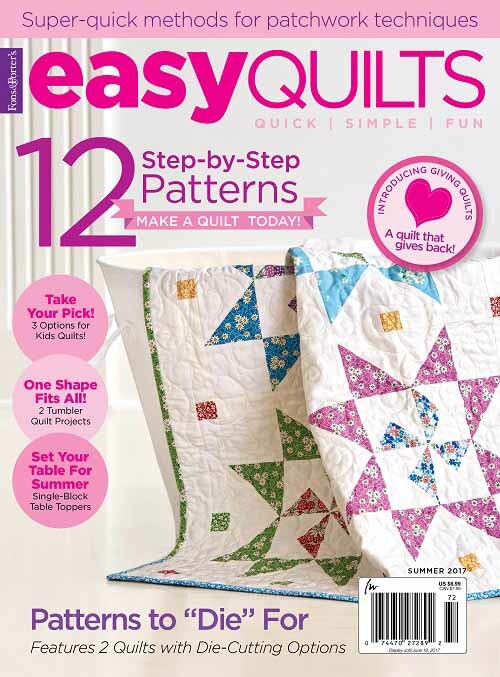 It’s a really gorgeous quilting pattern!!!!! 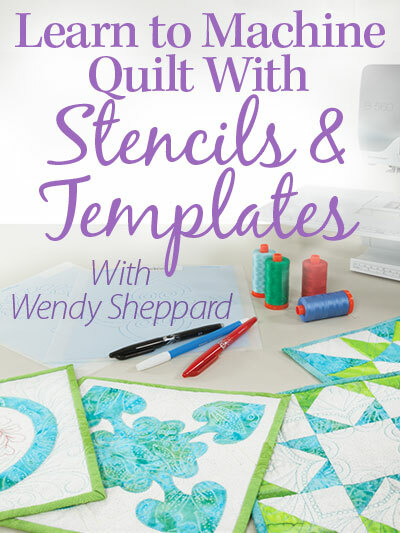 Thank you so much for breaking down the steps for this quilting design. It really looks like so much work but once explained actually looks doable ( hope I spelt that right). It’s dark, dreary and oh so cold today. You make it sound so easy — I’m almost tempted to try! thanks for sharing that process. I am going to practice it on paper so I can give it a try sometime. Love your Thread Talks; keep them coming. One should never stop learning and your teaching makes my learning easier. Thank you; thank you! Thumbs up! 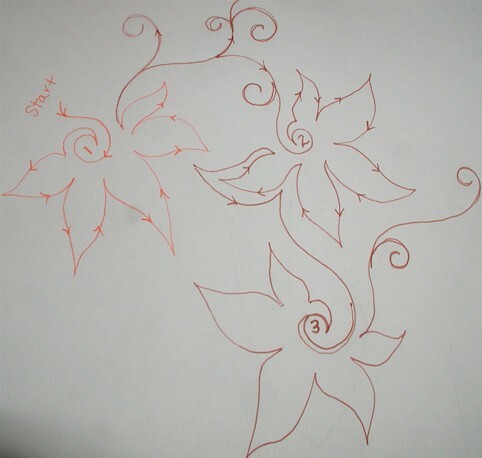 Dont think I can get anywhere close to these free motion drawing even if I trace on them! :) Good job! Thanks for sharing. 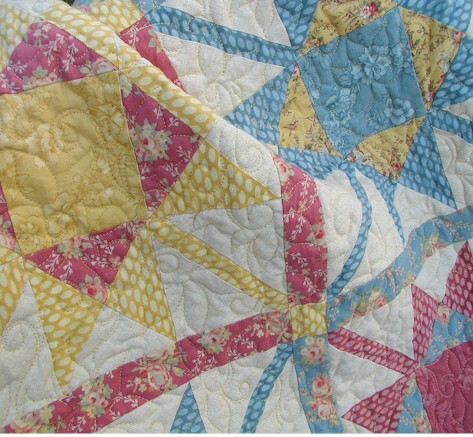 The quilt and quilting are beautiful. Had to come to your blog to comment and read as the emails are coming to me all blacked out. Don’t know what is up with that. Must be my settings. 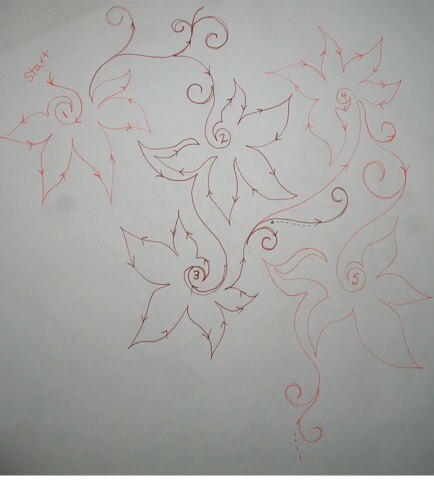 In my limited experience, it seems to me that pointy petals and leaves are a bit easier to do as well. Beautiful design. Thanks so much for sharing!